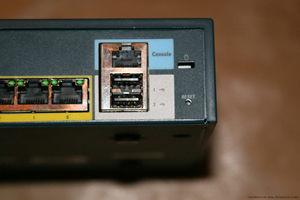 A Cisco compatible console cable (DB9 > RJ45 interface or with a DB9/USB converter). A Terminal Emulation program, such as Hyper Terminal or Tera Term. Next, refer to the PDF document below for step-by-step instruction on how to reset and recover the password on your Cisco router. This document describes the password recovery procedure for many popular Cisco router series, including the Cisco 1800, 2800 and 3800 Series routers.